Tough and resilient describes the Cardinal's design and function. A strong and powerful in-ground well light, the Cardinal comes standard with a G.E. 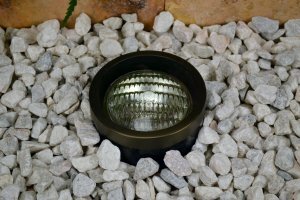 35 Watt PAR 36 Halogen, 4,000 hr. 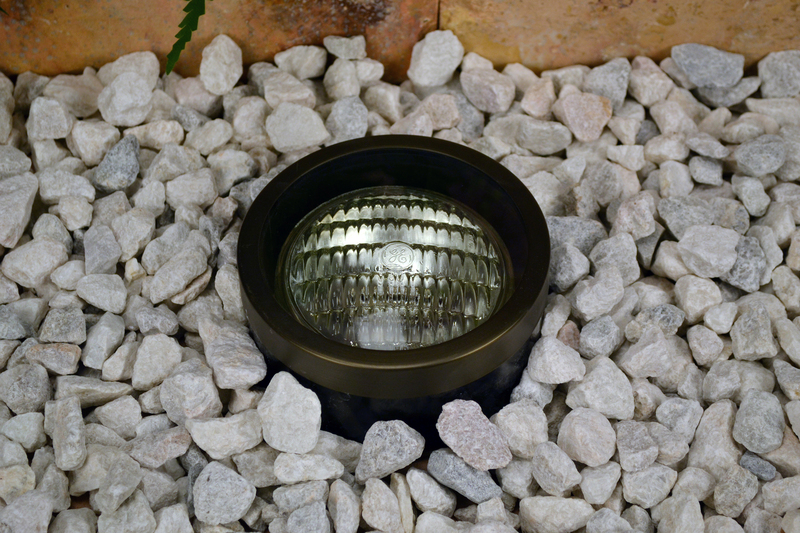 rated wide flood lamp to cast an ample beam spread against any landscape element. The brass debris guard gives it a beautiful aesthetic design. The featured patented stainless steel gimble ring holds the lamp in place while allowing vertical and horizontal adjustments within the composite body. Comes with a clear tempered glass lens. The Brass Knights™ Family of products from Unique Lighting Systems® carries a limited 15 year warranty against manufacturer’s defects.